Winter is here in the Rio Grande Valley, and while we might not get as cold as the rest of the state, there is still the occasional cold front that sweeps through the area. These cold spells can bring with them chilly temperatures, rain, and heavy winds. An accidental fire or roof damage caused by winter weather can mean having to file an insurance claim. But unfortunately, insurance companies may try to deny, delay, or underpay your winter damage claim by placing fault on you. If you’re having issues with your insurer over a winter damage claim, then contact the law offices of Millin & Millin, your McAllen bad faith insurance lawyers. We have the experience and know-how to get you the resolution your situation deserves. Also, consider the following winter damage claims that are frequently denied and how you can avoid them. Heating equipment fires accounted for 16% of all reported home fires from 2009-2013. Space heaters were the heating equipment often involved in home heating fires, accounting for 84% of associated civilian deaths, 75% of civilian injuries, and 52% of direct property damage. Insurance companies will try to avoid paying your fire claim by investigating if the fire was an act of arson. If the fire department is unable to identify the source or reason of the fire, any inconsistencies in your story and personal property listing can cause some major issues. One strategy to inhibit a heating equipment fire is to keep any combustible items, such as clothing or furniture, at least 3 feet away from the heating source. Also, be sure to check equipment prior to use, as any loose connections or wiring can easily lead to a fire. Lastly, make sure to have smoke alarms working properly throughout your home for an adequate early warning system. The winter weather of the Rio Grande Valley won’t bring any snow, but it can bring rain and roof damage. A collapsed roof or damage caused by rain should be covered in your home insurance policy, but contract language can make it difficult for policyholders to protect themselves, and insurers will use this tactic to avoid paying out on a roof damage claim. Prior to any damage happening, you might just want to conduct an outdoor inspection, so that you can repel any arguments by your insurer that you hadn’t take the right steps to prevent or minimize damage. Check for missing, cracked, or creased shingles and also check your home’s flashing. If your home has rain gutters, then inspect them also, as rusted gutters with leaking seams can allow water into your house. Be careful what you clean up. Accidently removing the evidence that caused the damage can put you in a situation where it’s your word against the adjusters. If you have to move something to “mitigate loss” then take lots of photos before doing so. You’ll want to take lots of pictures to document the damage and strengthen your case in a dispute. Document any damage caused by the actions or negligence of another person. You’ll want their name, contact information, insurance company name, and policy number. If your insurance company avoids paying you out, and it doesn’t seem fair, it probably isn’t. While freezing temperatures in the McAllen area are rare, they do occur nonetheless, and if you aren’t prepared, a busted pipe can lead to some major water damage. While water damage caused by a leaking pipe is typically covered by your insurance company, they may try to place the blame on you by declaring that you failed to properly winterize your pipes, thus avoiding their responsibility to you. Because water expands when it freezes, this expansion puts tremendous pressure on water pipes, and can cause them to break. Outdoor hose bibs, swimming pool supply lines, water sprinkler lines, pipes that run along the exterior walls, and water supply pipes in unheated interior areas are subject to freezing. One of the most basic tips you can follow when the weather is very cold outside is to let cold-water drip from the faucets served by exposed pipes. Even a trickle of running water will help prevent pipes from freezing. Also, on freezing nights, keep kitchen and bathroom cabinet doors open to allow warm air to circulate around the plumbing. Remember that if your policy is unclear about water damage, you have the ability to fight a denied or underpaid claim. 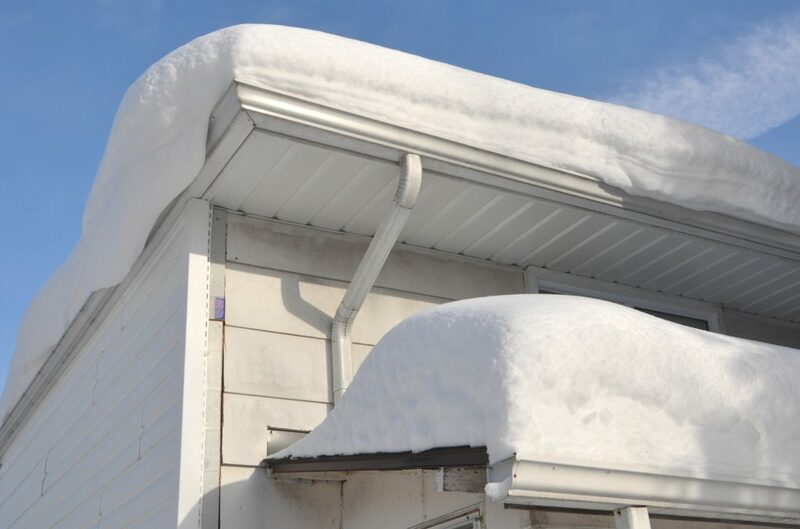 Winter damage insurance claim denied? Contact the bad faith attorneys at Millin & Millin to fight for your rights. If you’ve done everything in your power to protect your home this season, but you’re still having to deal with the bad faith tactics of your insurance company, do not hesitate to contact Millin & Millin, PLLC. Our comprehensive knowledge means we have the ability to represent clients in difficult cases that involve bad faith insurance. Individuals and businesses can rely on our professionalism and skills to guide them through the most complex legal matters. Don’t let your insurance company scare you with their tactics. Fight their denial today by calling (956) 631-5600.